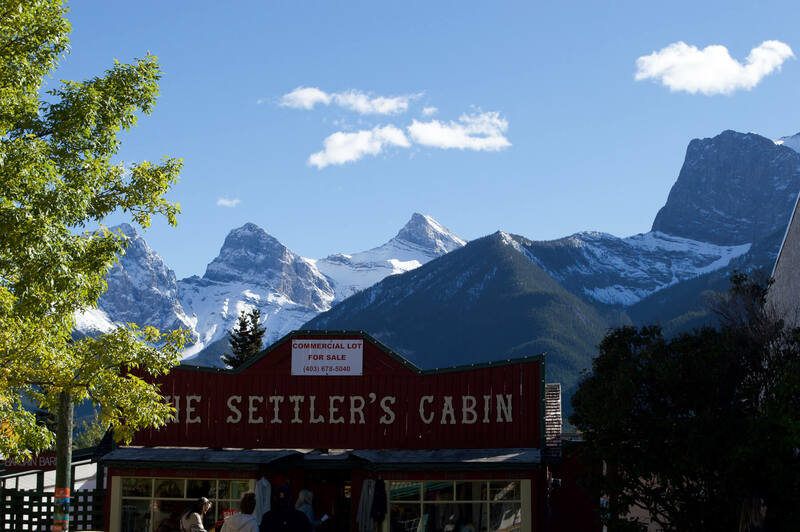 A trip to the Canadian Rockies would more than likely take you to one of the 2 following places. When I was researching my trip to the beautiful Canadian province of Alberta, I was unsure of what decision to make… Canmore or Banff? These 2 towns are only a 25 minutes drive from each other. At first, I thought, what’s the point of staying at both… 25 minutes can’t make much difference in scenery right? Wrong. The first stop on my journey was in the quiet town of Canmore. An hour and 15-minute journey from the major city of Calgary and we had arrived in the Rocky Mountains! The scenery was beyond words and I was in awe of every moment that I spent here. The area was quiet (compared to what we were used to) it really was like being in my local town at home, although 10x more beautiful. Mountain peaks surrounded the town, rivers and creeks flowed through the centre and beautiful mountain hikes were viewable from the middle of town. Everything was a short walking distance away. The weather was beautiful whilst I was here… Summer was sticking around for a little while which made our experience all the better. The shops in the town were local; with a lovely brewery, handcraft stores and delicious cafes. Compared to all the other towns I had visited this felt much less touristy. 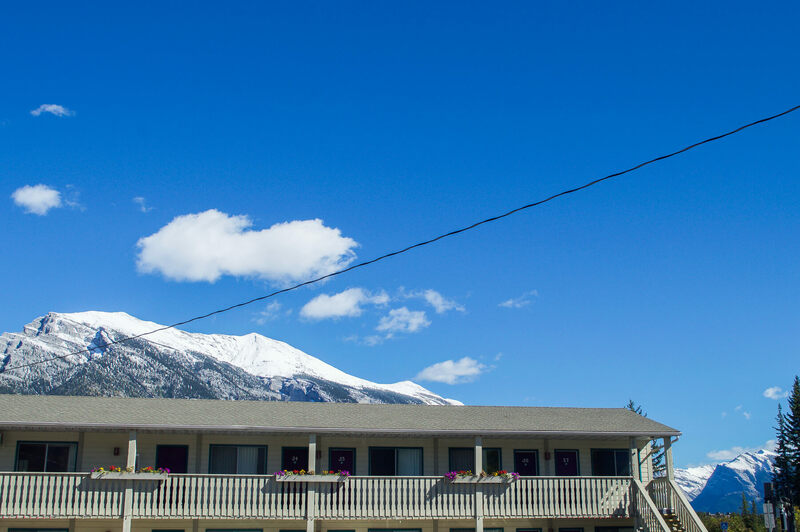 Some great things to do in Canmore are Snowy Owl Dog Sledding / Kennel Tours (of course), shopping for local goods, hiking, wildlife spotting and relaxing. It really is the best place to relax, the views don’t get much better! This is the start of the rocky mountains and just before the border of the Banff National Park. The scenery is a lot more open with grassy plains and open fields, simply because the forest has not yet started. The creek runs through the middle of town and straight into the Bow River. Both of which are a great place to spot wildlife. The creek is where the smaller animals will be spotted, and during the evening a walk down the river is a great place to spot Elk. In the rutting season, the Elk move down to the river in search of a mate. Elk Island (not a coincidence) is the perfect place to see these beautiful animals in action. If you want to go on a bit more of an adventure, this part of Alberta is loaded with hikes. I’m certainly no experienced hiker by any stretch of the imagination, but there are hikes here for all kind of fitness levels and appeal. We went on a 4-hour hike around the outer parts of town, around the forest and the golf course. Although getting lost a couple of times, it was so beautiful to overlook the town and the mountains that surround it. These are the perfect places to spot wildlife if you’re visiting at the right time of year. We spotted a coyote which was amazing… No bears unfortunately but I would still highly recommend bear spray. You don’t want to cause any surprises! My overall experience in here was perfect; it was relaxing, peaceful and incredibly beautiful. 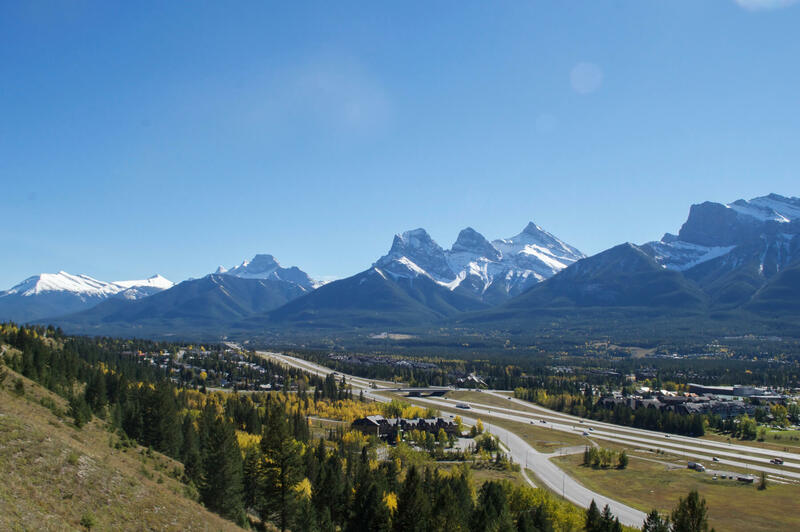 I can imagine Canmore would an amazing place to visit in Winter too! So what was Banff going to be like? Well, after the 25-minute journey down the main highway. We turned into the forest and into the lovely, busy town of Banff. This town is tourist central. In the middle of the Banff National Park, I can definitely understand why. This park and part of town has the most tourists throughout Alberta, so the number of people was really enormous. Tourist buses are everywhere, hotels are everywhere and repetitive tourist shops are once again.. everywhere. I must add that the amount of people does not take away from the beauty. The town is surrounded by mountain peaks once again, but you’re viewing them at a completely different angle. 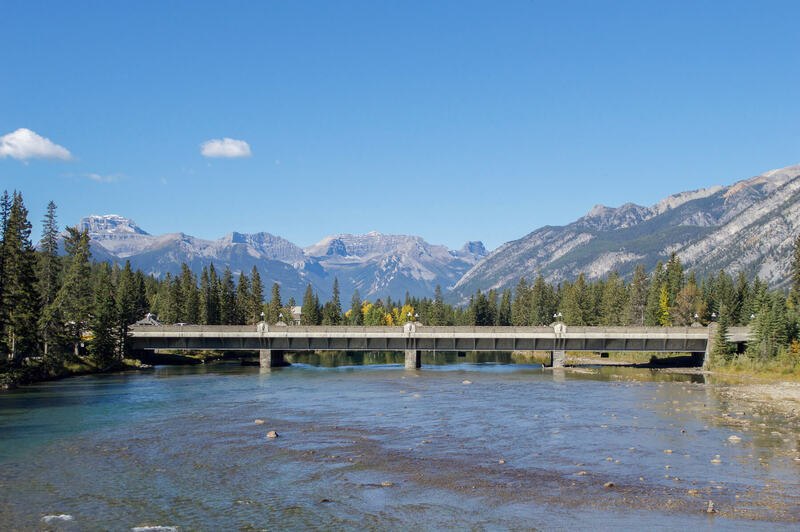 The Bow River that was on the outskirts of Canmore, is in the centre of town here. We had a beautiful view of the river from our room which was amazing. This wide birthed river flows for hundreds of kilometres through the Rockies so to see its beauty so close definitely can’t be missed. During the rutting season, this is also an amazing place to see Elk. 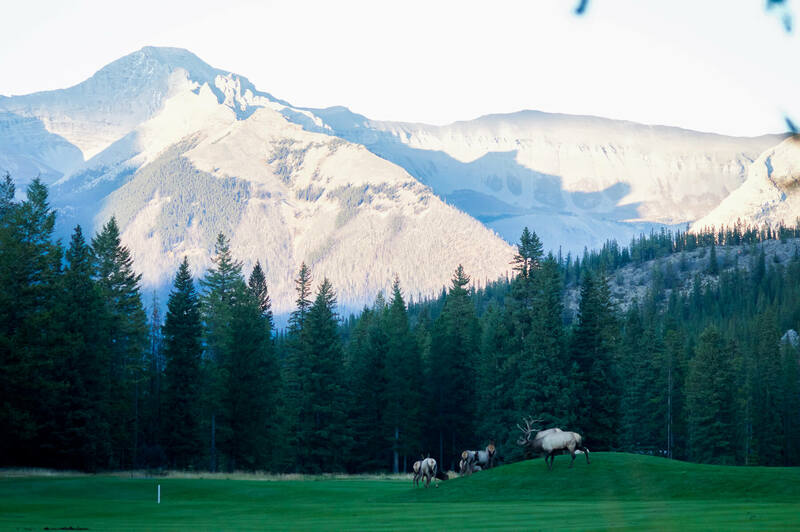 I was very disappointed to not have seen any Elk in Canmore – we were a little too late in the day – but we certainly encountered our fair share here. 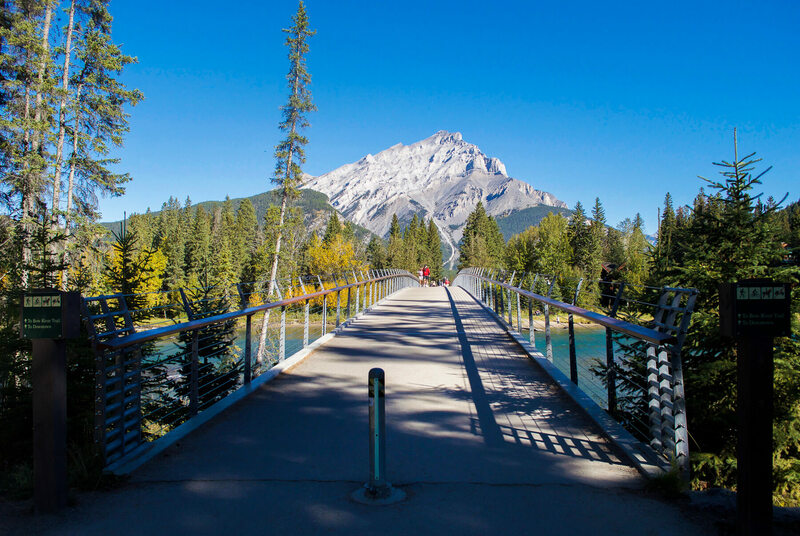 In the town of Banff there are many amazing things to do. Some popular attractions are Bow Falls – just a short walk out of town to the huge waterfall. Walking trails, golf, hikes, Mt. Norquay chairlift to the peak (pictured below), gondola to the summit of Sulphur Mountain, hot springs, river floats and visits to the surrounding lakes. You can definitely see why so many people flee to this town. It really is action packed! 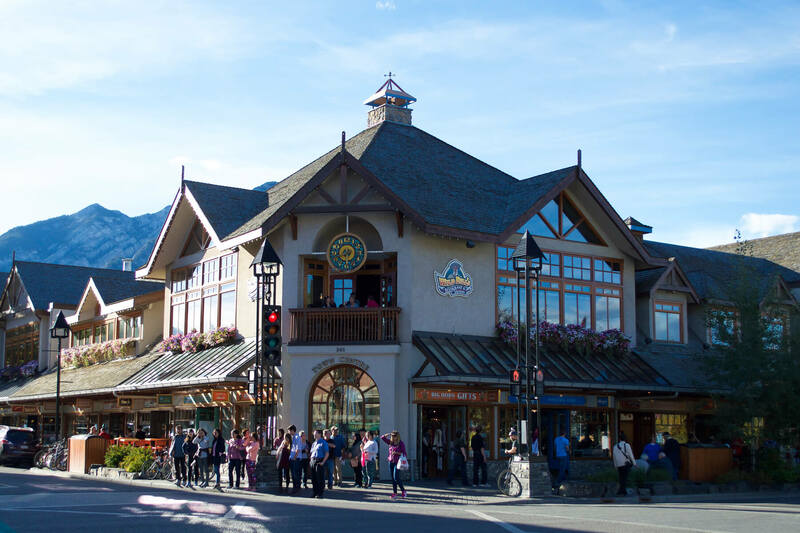 There are a lot of different dining options here in comparison to Canmore. Some local, some franchises but all were very high standard. From the town centre things are not as easily accessible.. but don’t let that fool you! Free shuttles are available for almost every major attraction and they will pick you up from your hotel doorstep. No need to worry about transportation here – or in the whole of Alberta for that matter – buses are always there for you. So which do I prefer? It’s a pretty tough decision. 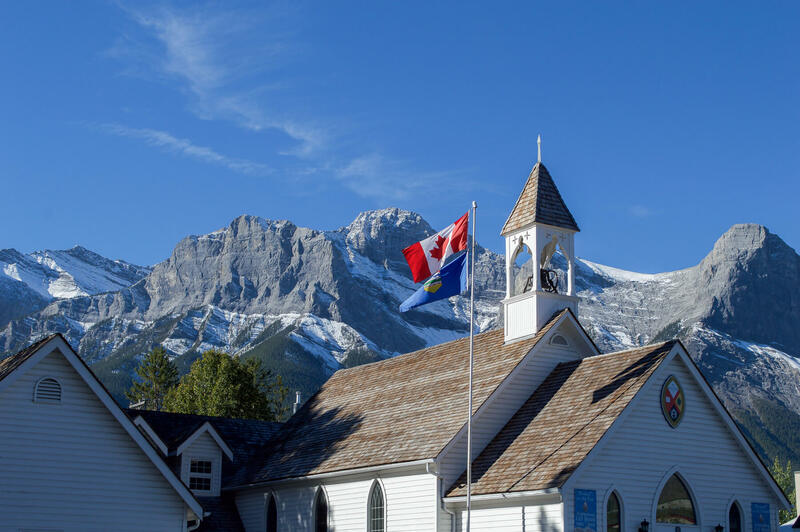 For the town itself, Canmore would have to win hands down. On the scale of activities, Banff would have to take the cake. 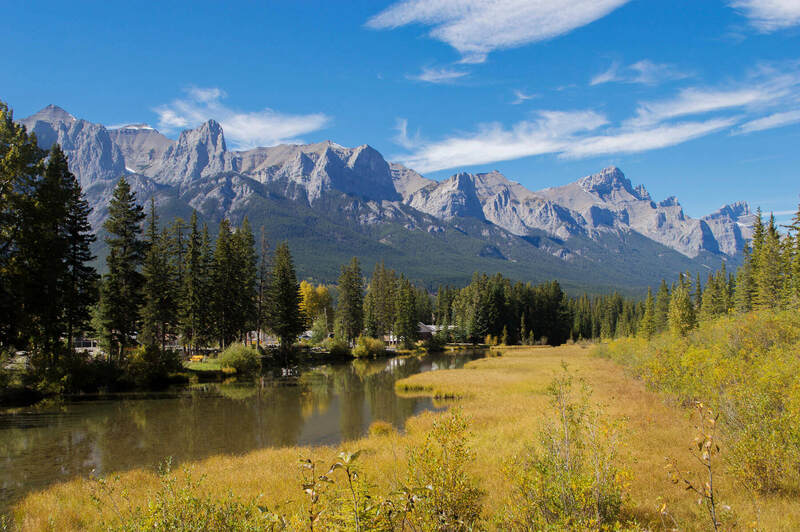 Lets put it like this… For a relaxing time in the Rockies – Canmore is the place for you. Calm settings, beautiful walks, local goods and an easily accessible town. 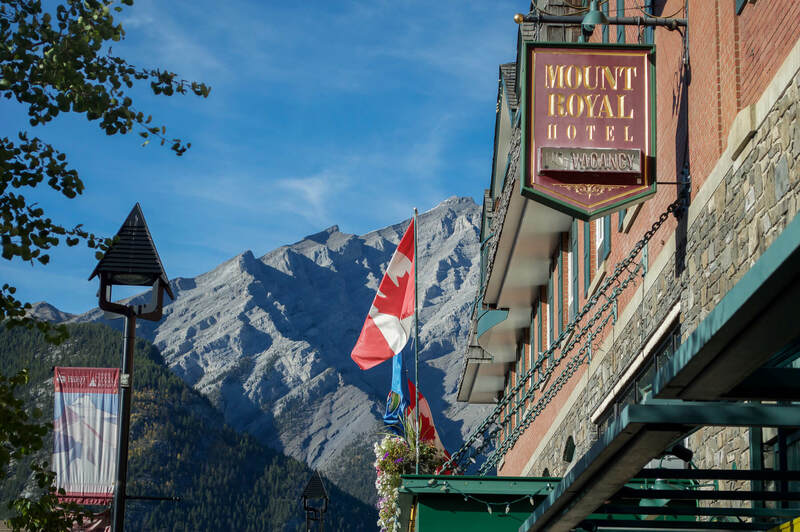 For thrill seekers and adventure lovers – Banff has it all. Hiking, waterfalls, more wildlife, in a national park with a lot of things to offer. The rocky mountains will never get old. From the moment you enter through the valley, your scenery will be completely different within a matter of minutes. Canmore could be visited in a day if time is restricted, but I’m so very glad I stayed here for 2 un-winding nights. During my 3 nights in Banff I experienced sights of the famous Bow River I will never get again. So, Canmore or Banff? I say both! 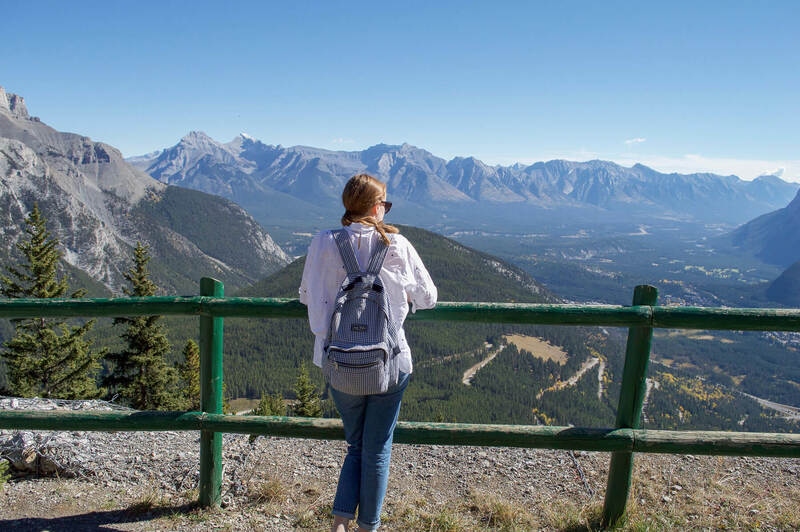 Have you been to either Canmore or Banff? Which of the 2 did you prefer the most?